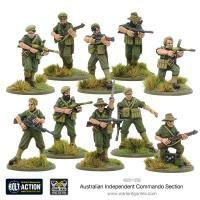 The Australian Army raised a number of units for commando style operations during the Second World War. 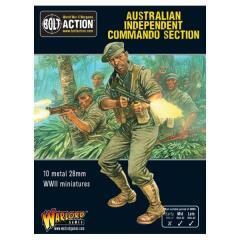 The first being the twelve Independent Commando Companies formed between 1941 and 1942. Predominantly serving in New Guinea, the Dutch East Indies and Borneo. Their tasks was to perform raids, demolition, sabotage, subversion, and organization of civil resistance against the Japanese. The Independent Companies saw heavy action, serving with considerable distinction. As the war drew to a close the Independent Companies would be used in more traditional infantry roles. Their trademark Owen Gun submachine guns and distinctive berets marking them out as soldiers worthy of respect from friend and foe alike.